Elsewhere, mother and children flee violent husband after leaving Islam. NAIROBI, Kenya (Morning Star News) – A Christian in eastern Uganda who had received death threats from Muslims after a religious discussion was killed on June 4, sources said. 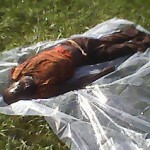 The body of Yokannah Zirinkuma of Kasasira village, Kibuku District, was found in a pool of blood in nearby Kadama village, near the home of the primary suspect, an area source said. Zirinkuma was 50. Well known in the area for evangelistic preaching in a marketplace by which several Muslims came to faith in Christ, Zirinkuma two weeks prior had engaged Muslims in Kasasira village in open debate that became heated. He later received a threatening letter from unknown Muslims. “You should stop misleading Muslims, and if you fail to adhere to this, then you will face the judgment sword from Allah,” a letter in Arabic warned him. A former Muslim (name withheld) whom Zirinkuma had led to Christ interpreted the letter for him, the convert told Morning Star News. The evening before his death, June 3, Zirinkuma attended a seminar at Kadama Church of Uganda, which ended at 5 p.m.
After the seminar, a Muslim from Kadama village, Ibrahim Mwede, approached Zirinkuma as he was sitting and talking with the pastor. Mwede asked the pastor if he could interrupt to talk with Zirinkuma about his cassava business, and they began discussing it. Eventually Mwede hinted to the pastor that some villagers had some cassava they wanted to sell, and he asked if the pastor would mind if Zirinkuma went with him to talk to them about buying the cassava, which has an edible tuberous root. Mwede told the pastor and Zirinkuma that he could spend the night at his house, as the evening was getting late, Pastor Keffa said. An elder in the Kasasira Church of Uganda, Zirinkuma went away with Mwede. A church elder who is a neighbor of Mwede heard some commotion at about 3 a.m. near Mwede’s house, along with an unusual cry, Pastor Keffa said. Another neighbor told the church elder that someone had been killed and the body dumped a few meters from Mwede’s house. Christians rushed to the site and found Zirinkuma’s body lying in a pool of blood, the pastor said. After they reported the case to police, officers arrested Mwede for interrogation. A police officer told Morning Star News that Mwede has been charged with murder and has been remanded to jail for one year awaiting trial. The body was taken to Kadama Hospital, where Dr. Fred Awiny conducted an autopsy. 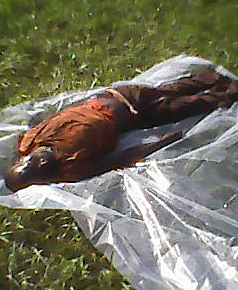 The autopsy concluded that Zirinkuma’s body showed signs consistent with murder – several injury marks suggesting a struggle, and ligature marks on the neck indicating he was strangled. Zirinkuma, a widower, is survived by two daughters, ages 22 and 17. In another part of eastern Uganda, an Islamic sheikh (teacher) beat his wife with a blunt instrument after their 6-year-old daughter told him how she had been healed at a church service, sources said. 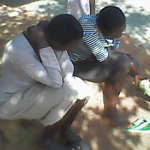 After finding out that his wife and their seven children had become Christians at a church service the previous day, 44-year-old Siraji Basalirwa attacked his wife on May 29 in Bulyangada village, Wairama parish, Mpungwe Sub-County, Mayuge District, sources said. Siida Namaganda, 38, and her children visited Fountain of Living Water Church in Kasitaime on May 28 for special prayers for sick 6-year-old Kuraisi Waiswa. A pastor prayed for the girl, and she was miraculously healed, area sources said. Overjoyed, the mother and children, ages 3 to 14 including two sets of twins ages 9 and 12, decided to be followers of Jesus. When the healed girl told her father the next day that they had attended the church, he became furious and started to beat his wife with a blunt object, area sources said. The children rushed to help their mother. 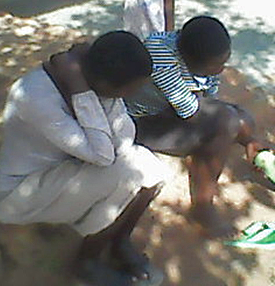 The neighbor took Namaganda and the children to the church site before her husband returned, but the sheikh and five other angry Muslims arrived looking for them, the pastor said. The mother and children are in hiding in another village. An area source said they are living in a tattered house with a thatched roof that leaks. Earlier this month, the woman’s husband sold their land and decided to buy property elsewhere, sources said.